Kaizen Academy, we provide Class I-XII Tuition to Gujarati and English Medium Students, English Speaking, IELTS, Dance. 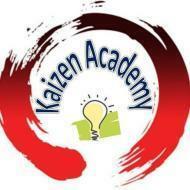 Kaizen Academy conducts classes in Class 10 Tuition, Class 11 Tuition and Class 12 Tuition. It is located in Gota Road, Ahmedabad. It takes Regular Classes- at the Institute and Online Classes- via online medium.